Recognizing the value of getting their latest and best work onto their website instantly, ECI turned to Sparkfactor for help designing and developing their new portfolio. The new site, powered by WordPress, allows ECI to provide updates on their latest projects immediately. 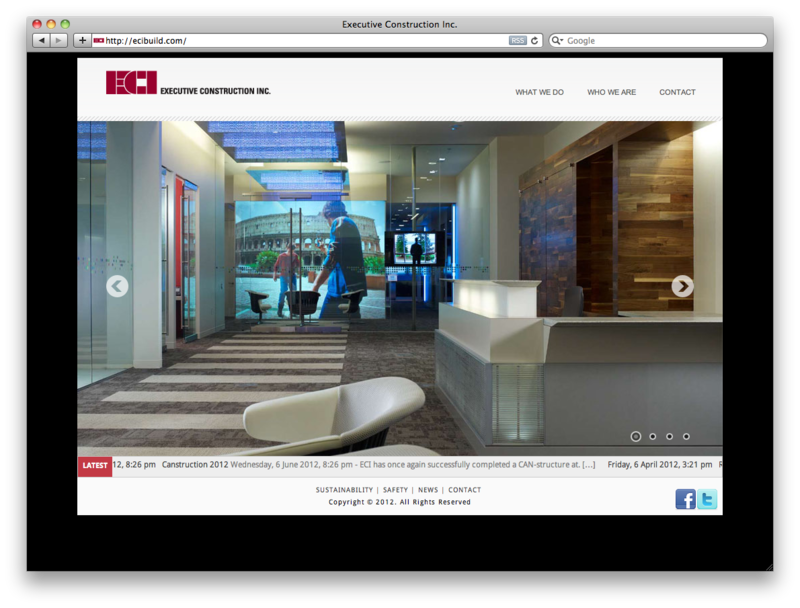 ECI is also able to visually showcase their body of work with stylishly dynamic slideshows and host several blogs; one aimed at the employees and the other at clients. The result is an always up-to-date visual portfolio of the best in construction.